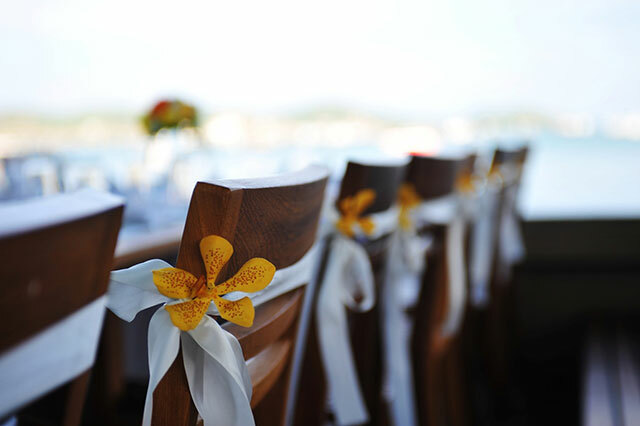 Kan Eang |@| Pier is a perfect venue for any event you have in mind. Below are descriptions to the main types of events we cater to. For more information and bookings, please see the Contact Us section. We can give you that extra bit of privacy to make dining at Kan Eang even more special than it already is. Your group can celebrate a birthday or enjoy a get together among work friends. We’ll give you a private outdoor or indoor area, recommend items from our menu or even prepare a set menu, all served to you by staff members appointed only to your party. Kan Eang has everything a wedding could ever need; a fantastic location; astounding food and drink that takes care of guest arrivals, main courses, desert and more; and brilliant service that keeps your once-in-a-lifetime day moving smoothly. Customization of your event area, such as seating arrangement, decoration, theme, is all taken care of. After telling us what you need, you can relax and let us handle the rest, ensuring your wedding is unforgettable. 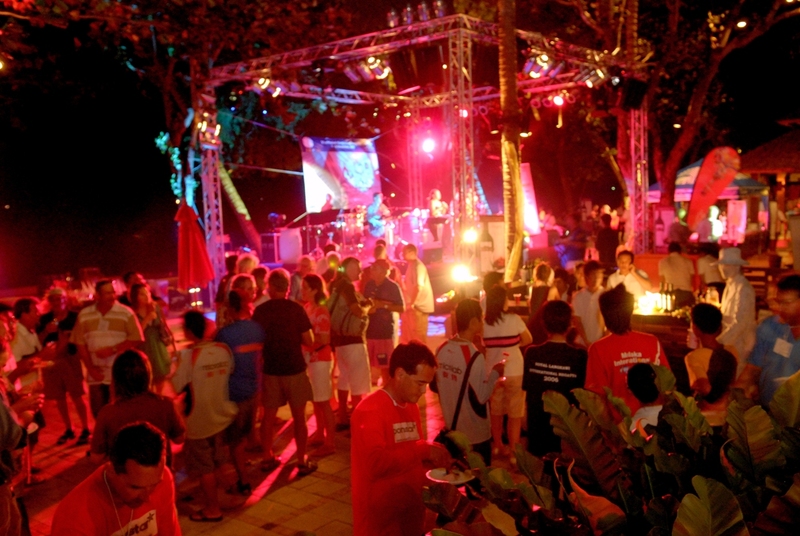 To make a strong impression when holding a business or corporate event, there is no better choice than Kan Eang. With your own private building or outdoor seating area, your group can enjoy the restaurant in isolation. No matter how big or small your occasion is, we can organize the food, service, decoration, and even MC. 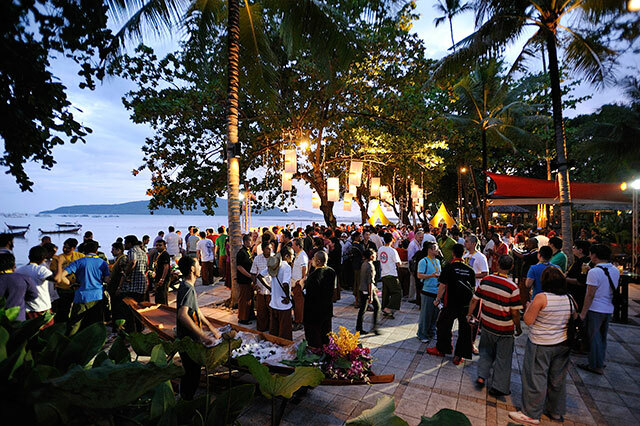 Theme parties are great fun, but theme nights in a Phuket seafood restaurant on the water are fantastic. We can help add that little extra spectacle to any party, customizing the decoration, feel, and even the food of your party to fit your idea. Contact us to discuss how your theme concept can be turned into reality.